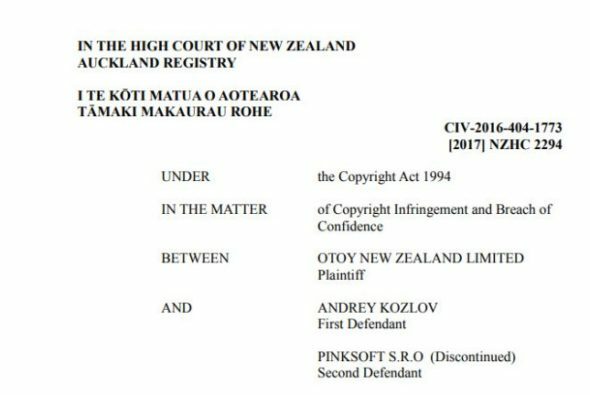 Last month Justice Muir in the High Court of New Zealand ruled in favour of Otoy in the copyright infringement case Otoy vs Andrey Kozlov. Andrey Kozlov, a former employee at Otoy and the developer of FStormRender, was accused of using IP from Octane to develop his software. The court has ordered that Otoy be awarded $50,000 in exemplary damages and granted permanent injunctions preventing the sale, download or supply of infringing versions of FStormRender. You can find the full ruling documents on the Ministry of Justice website and read a reaction, including a presentation of Otoy’s evidence, from the founder of Otoy Jules Urbach on Medium.